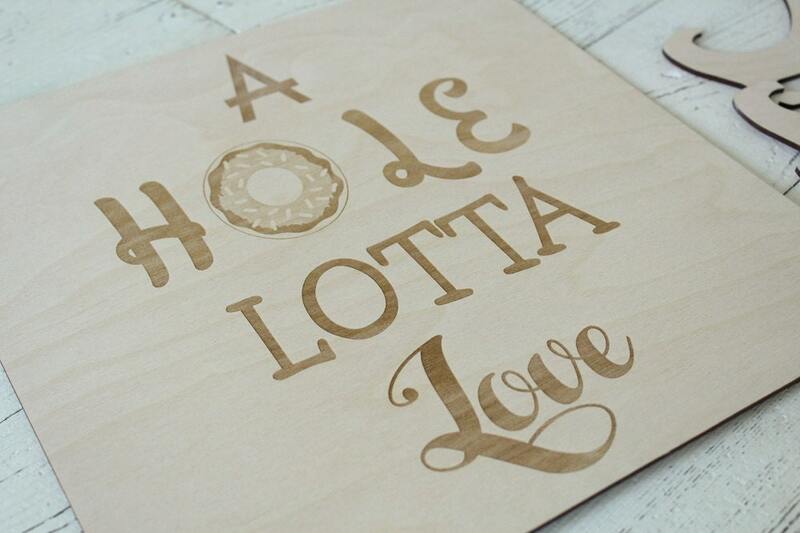 'A Hole Lotta Love' unfinished wood laser engraved donut display sign w/easel.! 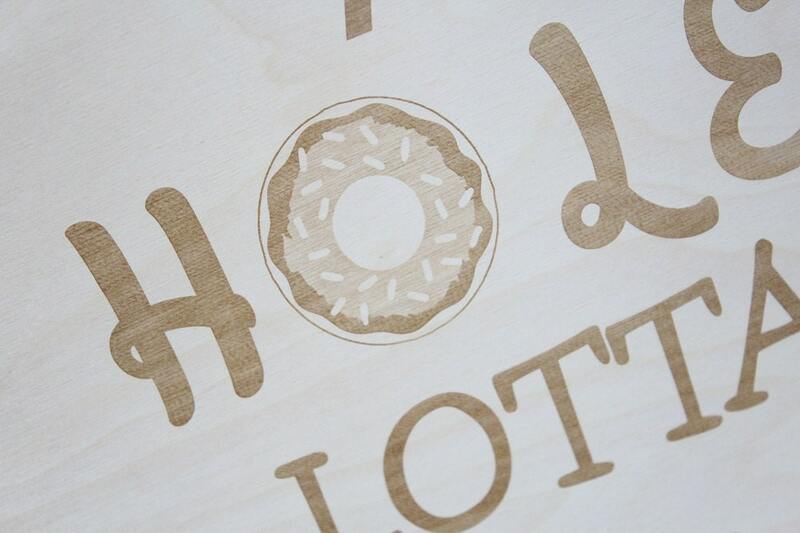 Add this sign to your table to complete your donut display..
sign measures: 11.5" x 11.5" and comes with wood easel. 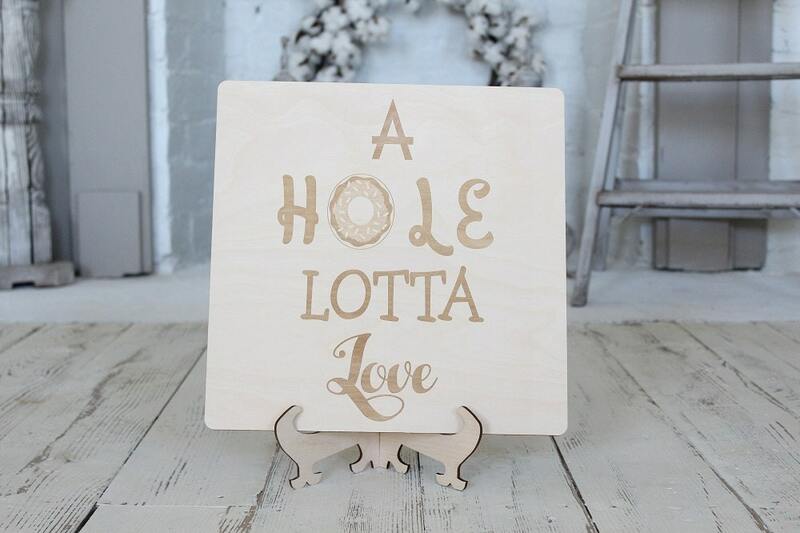 Loved the Hole lotta Love sign! 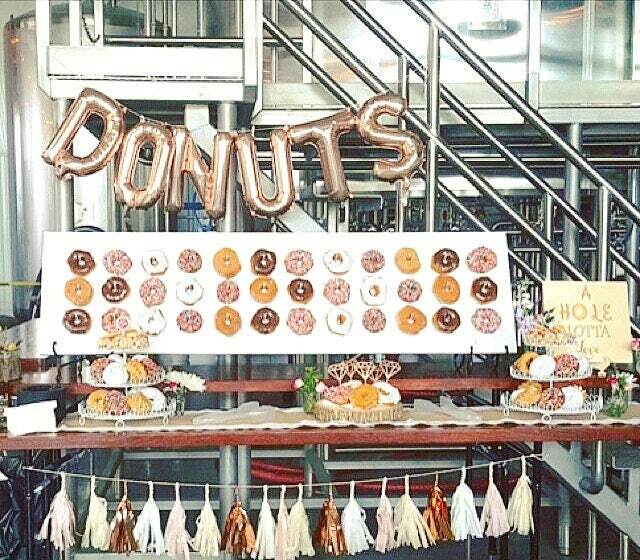 Really helped put the finishing touches on the Donut Bar at my daughter's Bridal Shower, don't you think? Very nice quality & quick shipping!